The ESSA RoadMaps for TransACT Parent Notices were updated in September 2017 to include a time-saving introductory slide that instructs teachers and administrators on information they will need to gather in order to determine their compliance requirements under ESSA. 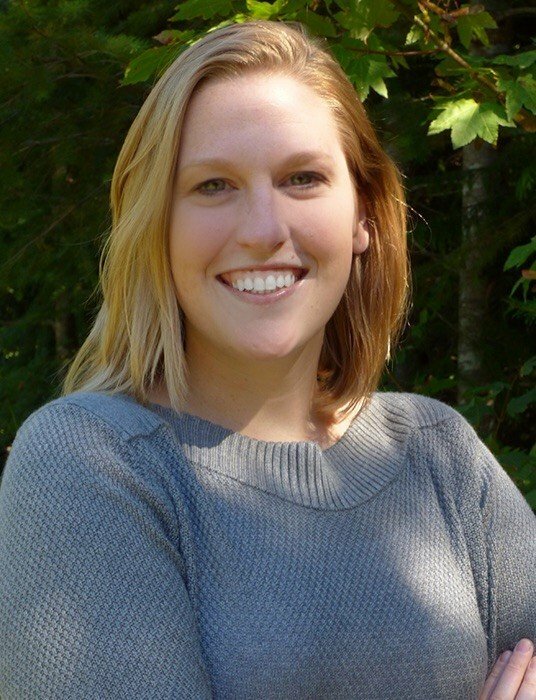 Makes recommendations on new features that can support compliance throughout states and districts. Feedback from the NAB showed that it was necessary for someone completing a RoadMap to know what information to gather in order to be able to answer all the RoadMap’s questions. In response to this issue TransACT’s ESSA RoadMaps were updated in September of 2017 to provide this guidance. 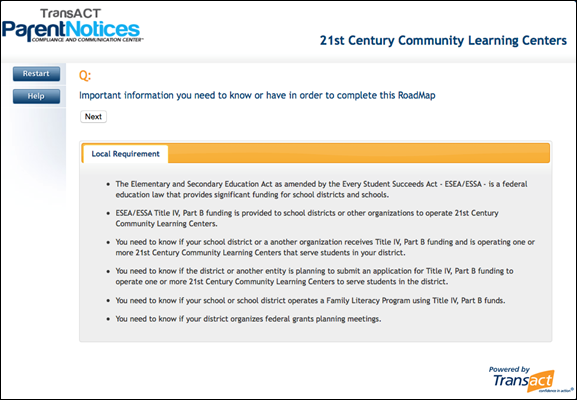 The first slide of the ESSA Road Maps now include information on what you need to complete before beginning the Road Map. In addition to the update to RoadMaps, there is now a new RoadMap. Not all states have chosen to use their Title I funds to implement Direct Student Services, but for those districts in states that have, the Direct Student Services RoadMap is now available.